We have repeatedly talked about the need to protect our personal data online. Unfortunately, today’s technology, along with all the comforts it offers, leaves us quite exposed in terms of protecting our privacy. We have already introduced DuckDuckGo as a highly secure solution to search engines. Signal, an indispensable tool for secure conversations and instant messaging, while we keep suggesting to use a VPN as well as the Tor network. The truth is, that after Google admitting that it reads all our mail, things are getting serious. First of all, it is clear that our mail is not encrypted; it is visible to everyone. 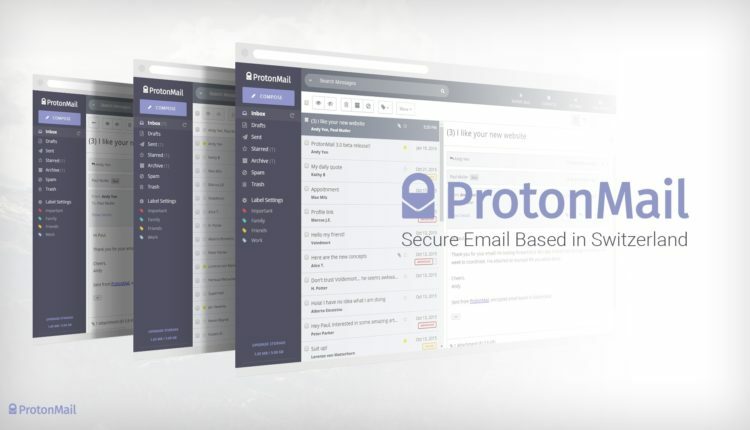 End-To-End encryption is therefore absolutely necessary, and one solution is ProtonMail. ProtonMail was founded by a team of scientists that met at CERN. 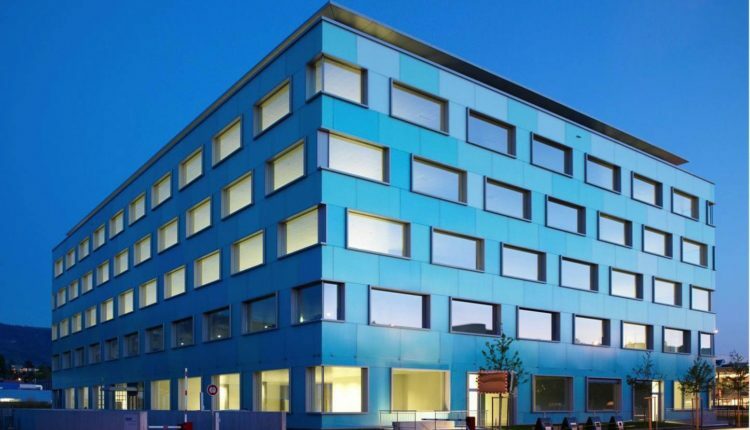 Soon after a fairly large amount was raised by Crowdfunding, the company set up a network with its Server in Switzerland. In line with the company’s descriptions, the central servers are housed in an ultra-subterranean underground fortress capable of withstanding a nuclear explosion! Perhaps too much work for an email service! What suffices for us is the ability to encrypt mail that we send even to non-Proton accounts. It does not store metadata for the user, especially the login IP address in the account. No personal information is required to open an account. So far, so good. In reality, however, this is not a free application. That is because the features that the service provides for a free account are highly limited. Free service features are missing, such as download confirmation, time limit, and so on. Also, the space of 500MB offered cannot cover a professional dealing with lots of e-mails every day. Consequently, many users will have to choose one of the subscriptions offered. This automatically discards anonymity as the company holds billing information for each user’s account. while a Mobile App is also available. 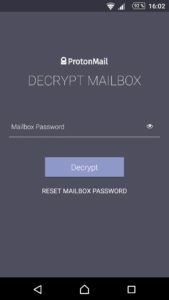 ProtonMail surely offers a lot of security. End-To-End encryption is a huge asset, while server security is really strong. The services they offer as well as the application environment are all at a very good level, although we are still expecting some improvements. The problem is that it is a very well-established private company. With its free service, it essentially boxes users. 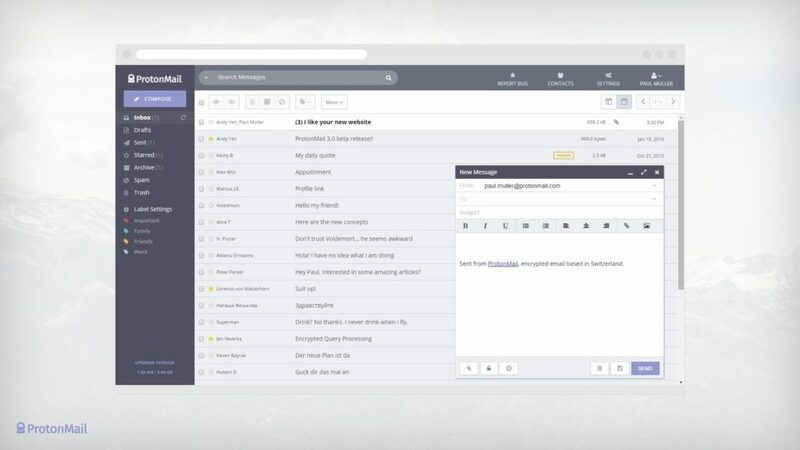 Email Accounts are now mostly used to connect to various accounts and services such as Social Media, Paypal, Netflix, Banks, etc. Users who opt for the free account will soon find themselves in a dilemma given all the restrictions mentioned. That is, whether they should pay for upgrading their ProtonMail account or go into the process of changing e-mail, something particularly painful considering the changes one has to make to their old e-mail account. We recommend that you activate a free ProtonMail account, but not heavily rely on it before you are sure of your choice.